The oversize portions. The red-and-white-checked tablecloths. A carafe of the house red. Old-school Italian-American restaurants, a.k.a. red sauce joints, are the kind of institutions you’ll find, with very few deviations, in just about any city in America. But as we discovered upon reaching out to dozens of writers, chefs, and celebrities, these restaurants are about a lot more than a plate of penne alla vodka. Whether or not you’re Italian, red sauce likely means something to you—about family, or home, or history, or politics, or class, or citizenship, or selfhood, or otherness, or all the above, or a million other things. And that’s what this package is all about. Welcome to Red Sauce America. 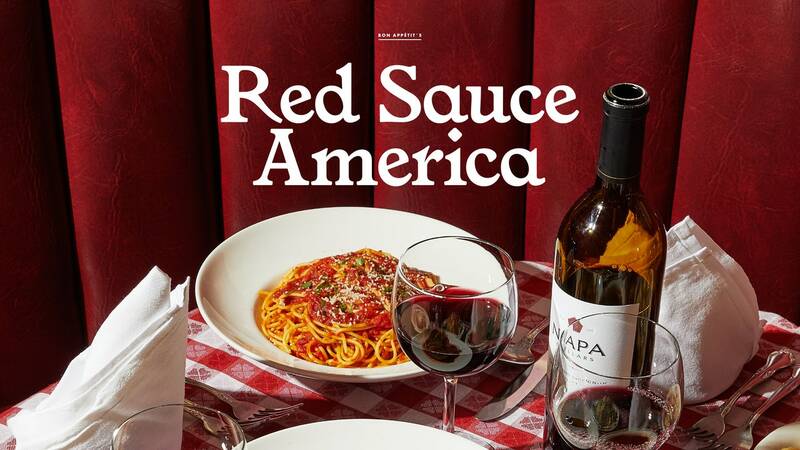 For a feast of this type of dining, see here: Welcome to Red Sauce America – Bon Appétit. Posted on April 17, 2019 in food, new! Posted on April 16, 2019 in advice, new! Here are some good links I have been collecting over time on IT that are still worth reading. They cover AI, the IOT, containers, and more. Enjoy! How to build a supercomputer with Raspberry Pis: Fun! The Strange Birth and Long Life of Unix: A really good history of Unix. Well written. Circuito.io: Want to build circuits, but don’t know how. This killer site is for you. Effie robot claims to do all your ironing: If you like robots and hate ironing, this could be for you. In an Era of ‘Smart’ Things, Sometimes Dumb Stuff Is Better: Why analog is sometimes better. In the last five years I’ve lost heat in my house twice in the middle of winter. The last time it happened was this week. My furnace started intermittently failing. It wasn’t a big deal, despite the cold. I bought a heater and my landlord had the repair people come in a few days and fixed the furnace. The first time it happened was the ice storm of Christmas 2013. Then it lasted over three days as lack of power prevented my furnace from starting. My house got as low as 42 Degrees, and I could see my breath in the house. And then at 12:30 am on Christmas Day the power was restored and over many hours my furnace warmed up the house. In both cases I remember the satisfaction of hearing the forced air furnace blowing warm air through the house. It’s such a basic thing, and yet so satisfying. There are many great pleasures in the world, but few compare with the restoration of heat your home in the middle of bitter winter. What you really want to aim for in your profession and your life is ikigai. I’ve seen this a few times and I can’t find the original but also I don’t want to lose it. It really is too good to lose. I’d like to credit and link to the originator.